Wes Fitzwater of Fitzwater Law is our special guest in a 2-part series. 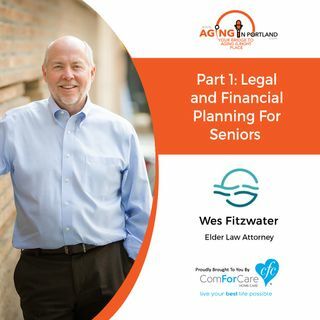 Wes will be discussing legal and financial planning for seniors, including wills, trusts, and powers of attorney. He'll tell you how to plan for incapacity and long-term care expenses, how to spot and avoid elder abuse, and what to expect when you die.